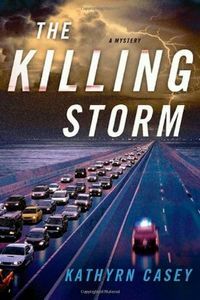 The Killing Storm by Kathryn Casey: Synopsis and Online Purchase Options. Synopsis (from the publisher): On a quiet afternoon in the park, four-year-old Joey plays in the sandbox, when a stranger approaches looking for his puppy. While Joey's mom, Crystal, talks on her cell phone, the stranger convinces the child to help search. By the time Crystal turns around, her son has disappeared. Yet her reaction is odd, not what one would expect from a distraught mother. Is Crystal somehow involved in her son's abduction?